End Of The Road? Apple Lays Off 200+ People From Project Titan - AutoReportNG "AutoReportNG-The No 1 Car Blog In Nigeria That You Can Trust - AutoReportNG"
For over four years, Apple has been working on an electric self-driving vehicle, nicknamed Project Titan. The project, which first began ramping up in late 2014 and early 2015, has gone through a number of supposed shifts and changes, including various pivots and reboots. Now, Apple has confirmed that its cut 200 employees from the Titan workforce, some of which were reassigned to other projects at the company. Apple appears to have effectively canceled its autonomous-car development after firing 200 employees assigned to its Project Titan, the team that was supposed to beat Waymo and other tech suppliers in the race to self-driving software. The news comes from an Apple statement to CNBC on Thursday acknowledging the layoffs. While the Titan group may still exist, Apple said it has shifted people "to projects in other parts of the company." When it created Titan in 2015, there were reportedly 600 people on staff and plans to triple that number. Now, in a careful statement that omitted any reference to the automotive industry or the buzzword "mobility," the company said that it is "working on autonomous systems and associated technologies." The self-driving Apple Car that many predicted, including an Apple-branded electric car with a steering wheel, isn't likely to emerge from encrypted storage. Cupertino's experts will no doubt focus on artificial intelligence and machine learning, but the payoff for production-ready software for cars a decade or more away may have been too long for CEO Tim Cook, who for the first time in more than a decade had to cut the company's quarterly revenue estimates earlier this month. Apple's iPhone sales have been sluggish, particularly in China where a raging court battle between the company and chipset manufacturer Qualcomm have blocked sales in the country. Even though Apple is rich beyond belief, the company still needs to boost revenue quickly for public shareholders. News that Apple was poaching staff from NASA, Tesla, and other major automakers surfaced in 2015. In 2016, while its public plans were still unclear, the company submitted comments to the National Highway Traffic Safety Administration (NHTSA) supporting its automated-vehicle policy at the time. A year later, it became the 30th company to receive an autonomous testing permit in California. Apple's next steps are anyone's guess. With $130 billion in the bank, they could restart Titan and kill it several times over without batting an eye. 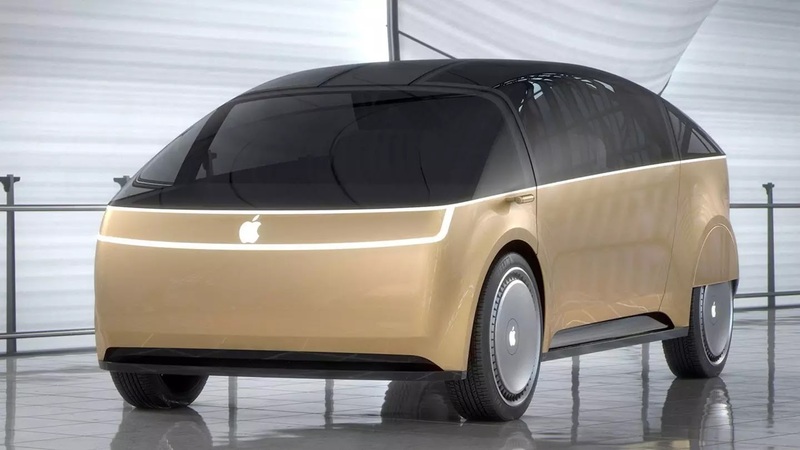 Apple’s autonomous car division was last in the news back in August, when it hired ex-Tesla engineer and former Apple employee Doug Field to return to the fold and work alongside Bob Mansfield on the self-driving vehicle project.